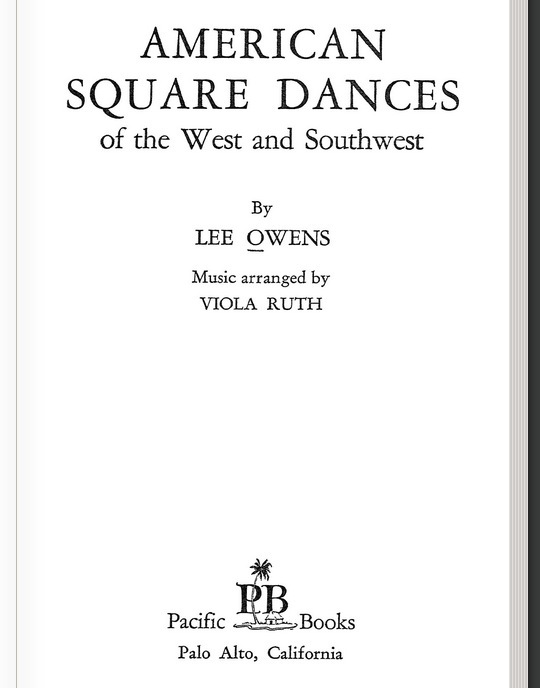 Electronic copy of 1949 book by Lee Owens, with music arranged by Viola Ruth. Excellent resource made available through the Internet Archive. The book can be read online, downloaded as a PDF file, or saved for reading on a Kindle device or other electronic book readers. The book begins with a lengthy first part, "Off the Dance Floor," which includes information for callers, how to play the tunes, and a detailed description of "the parts, movements and figures." This includes a look at the "Do-si-do (Western version)" and many variations) and the "Dos-a-dos (The Eastern Do-si-do.)" The second section gives a detailed description and call (including introductory call) for some three dozen dances. Numerous illustrations. A companion volume contains more complex dance figures. 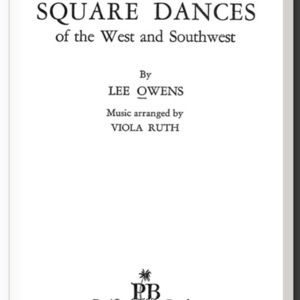 Lee Owens, “American Square Dances of the West and Southwest,” Square Dance History Project, accessed April 24, 2019, http://squaredancehistory.com/items/show/867.